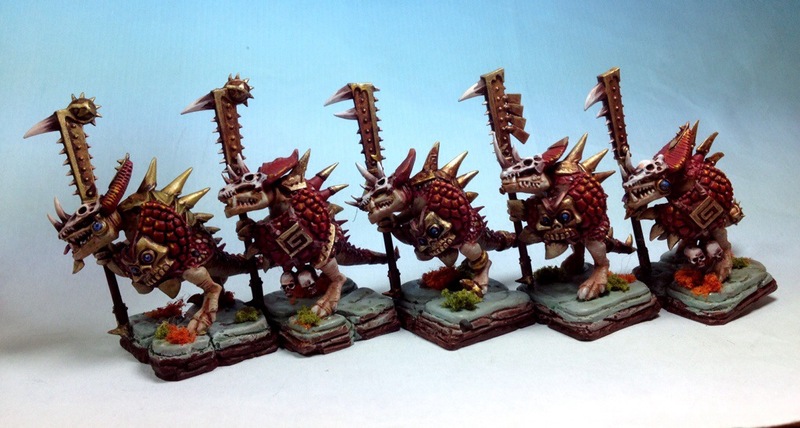 Finished the Lizardmen Commision this evening. I’m pleased with the way it has turned out and will be glad to see them on their way to the client. A bit more progress this week. I’ve been committing a lot of time to my job in the evenings so this is taking a lot longer than expected. 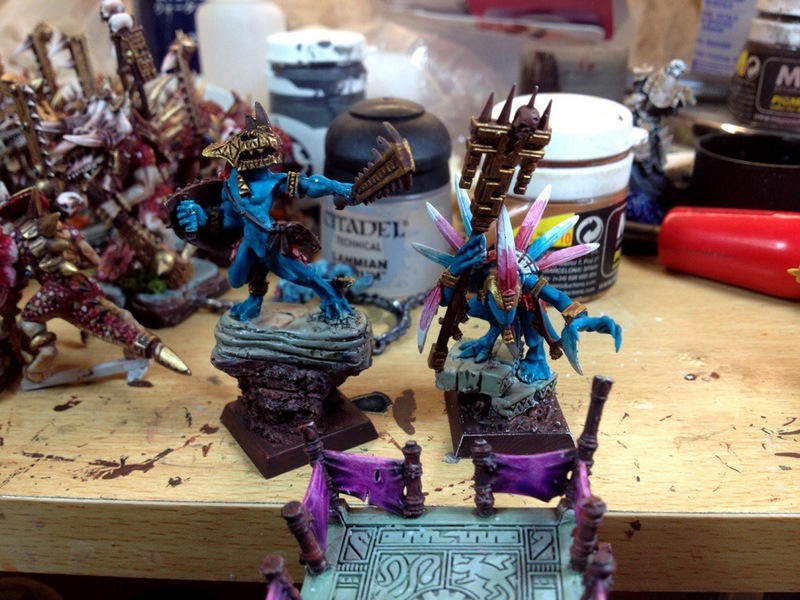 The Skink characters have most of their base colours and some detail work done. 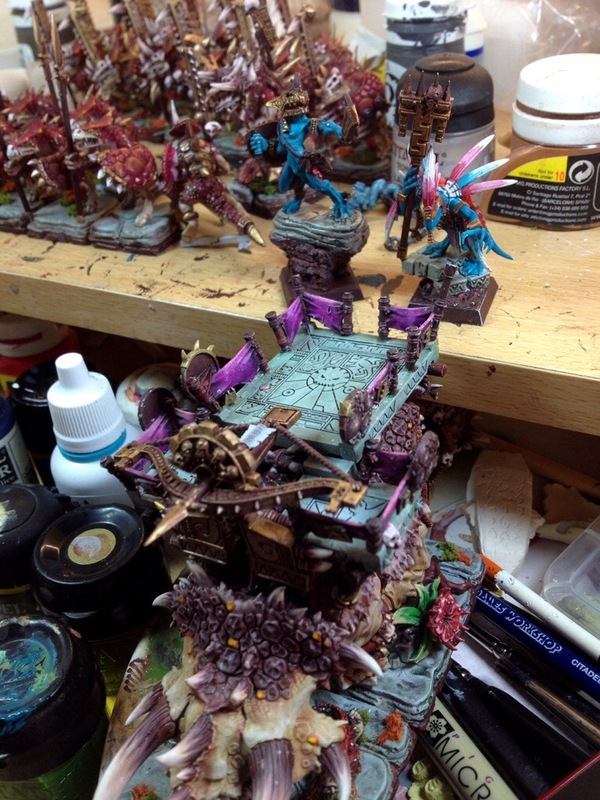 I’ve also done the Bolt- thrower for the Stegadon – it just needs a bit of tidying and some new magnets for the crew. 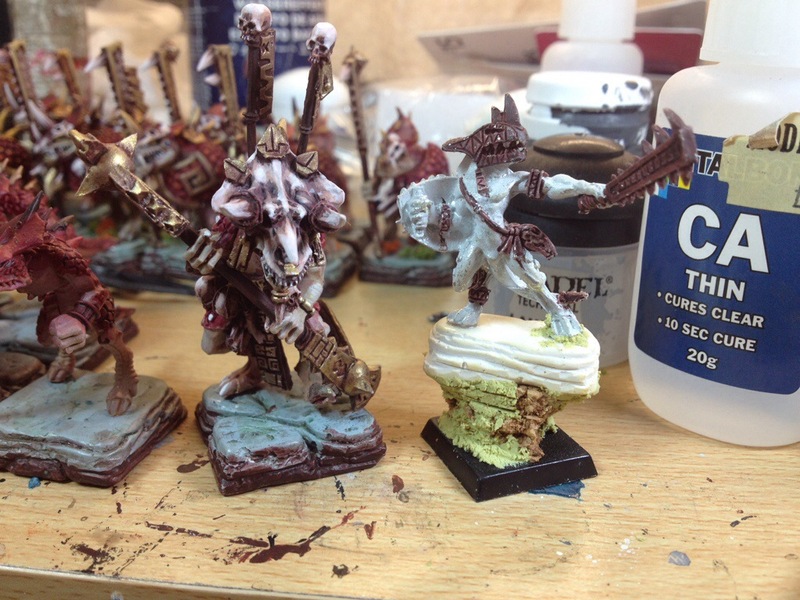 Most of the infantry are now done so it is time to begin work on the three character models for this commission. 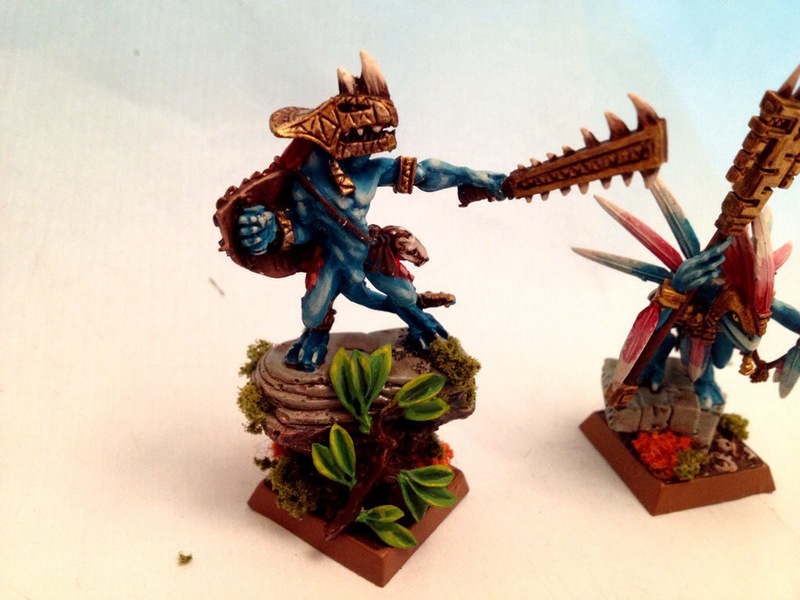 I have pretty much finished Chakax apart from some detail on his base. The Skink hero has a very dramatic pose so I’ve popped him on an extravagant base made with a Hirst Arts block, some cork and a bit of milliput work. 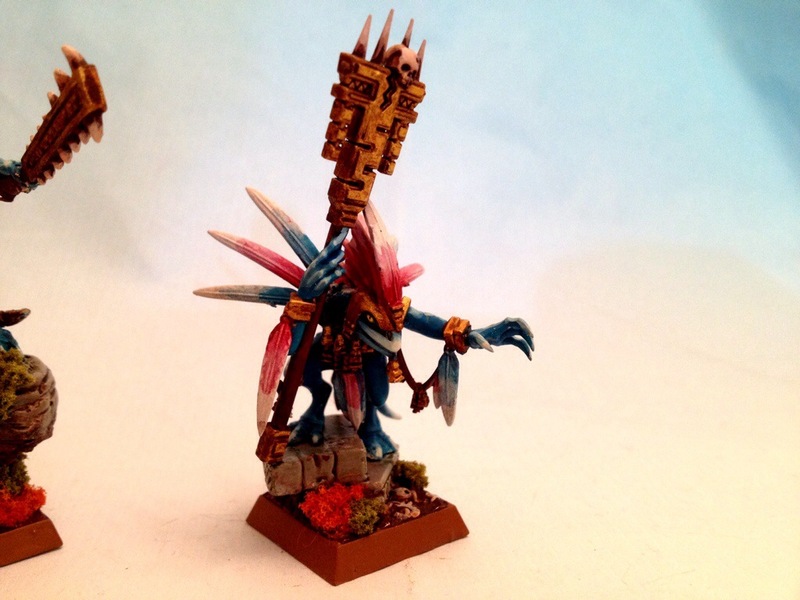 There is also a Skink Priest to do which is the pick of the new Lizardmen range. More on him later. Good progress with the commission this week. Looking forward to finishing this off now. 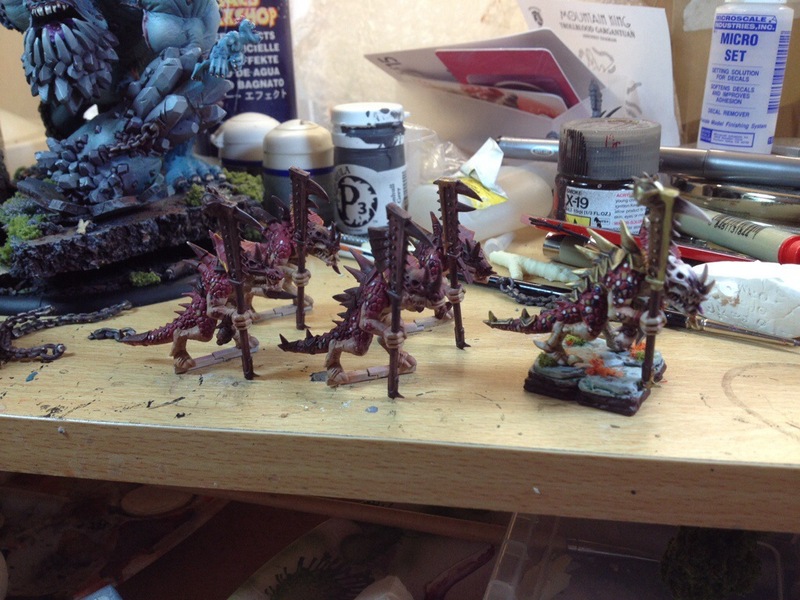 Progress has been slower than expected on the Lizardmen but I am getting there. 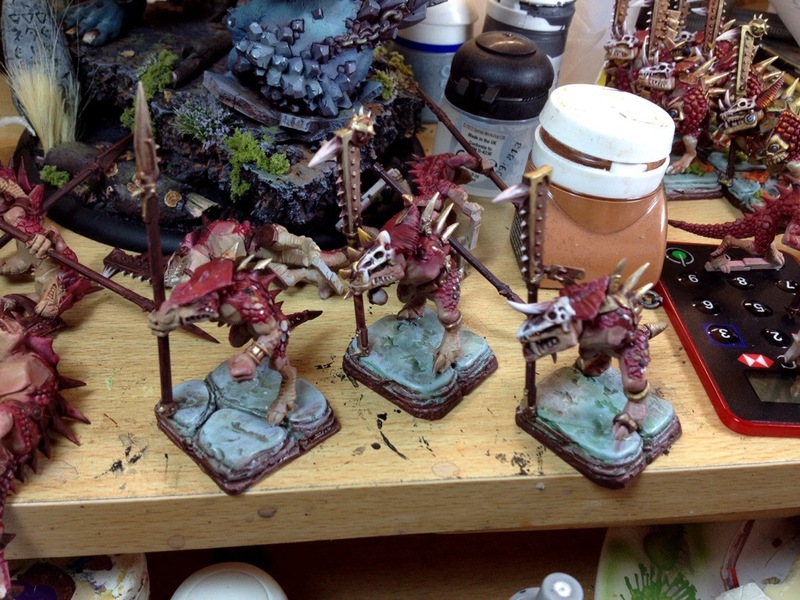 A couple more Temple Guard and the first Saurus nearly finished. I’ve set myself the goal of finishing the whole lot by the end of the month. Finished the first 4 Temple Guard this evening. This first milestone is very important as I needed to replicate the old scheme of colours and techniques as closely as possible. 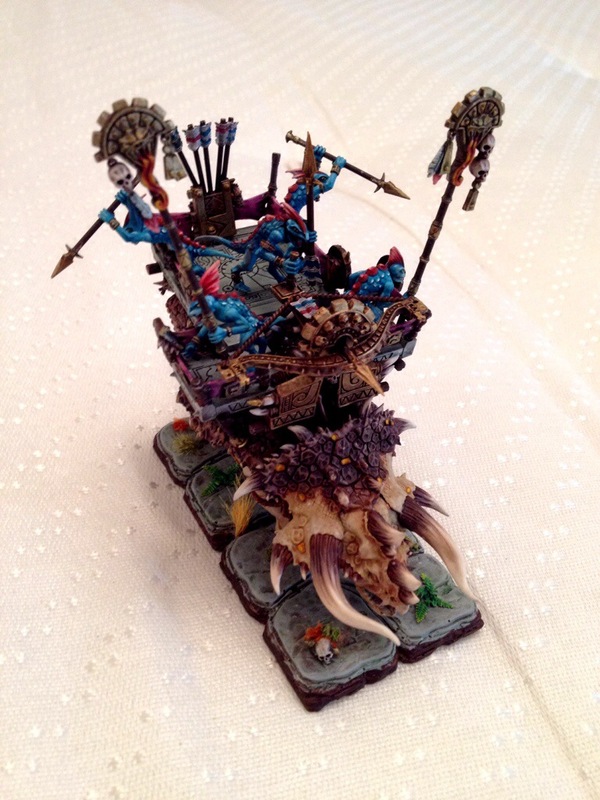 One of the 5 models is from the original army and I’m hoping it is impossible to tell which! Answers on a post card ….. I don’t usually do commission work. 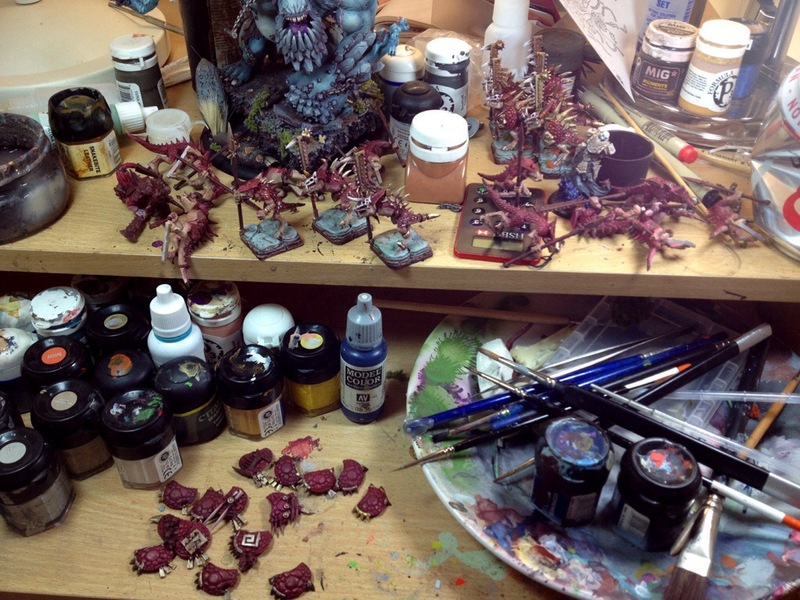 In fact it must be 20 years or more since I painted models solely for money. 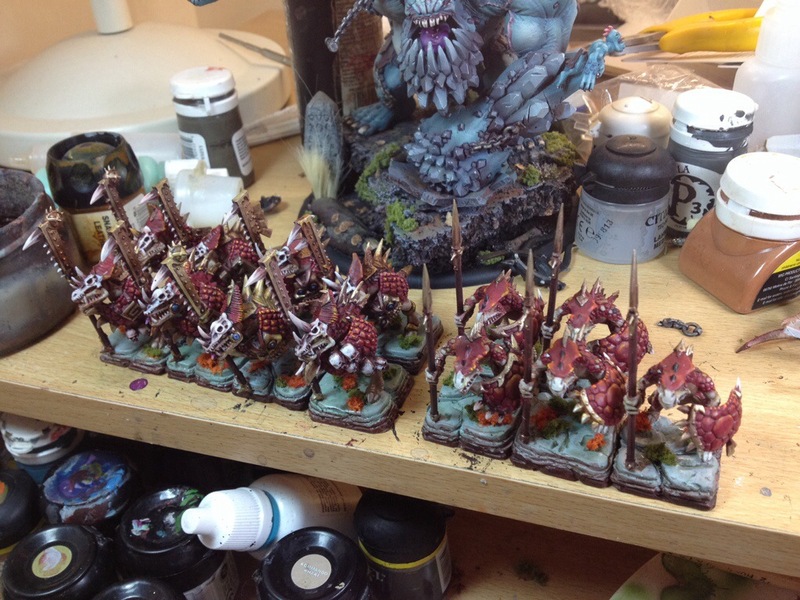 However, I have recently sold my old Lizardman army and the buyer wanted a top up. I haven’t had as much time as I would like to paint recently but here is a work in progress shot of some Templeguard just to show I am still putting brush to model.